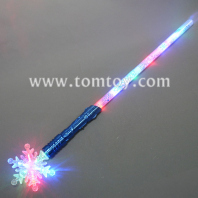 Tomtoy LED Christmas Swords are great gift for Christmas parites, neon parties, glow in the dark parties, themed birthday parties and so on. Made of high quality plastic that is safe, non-toxic and environment friendly. Have fun with no worries at all. Great gift for your kids.